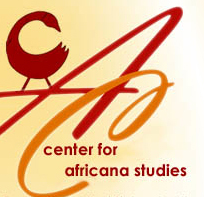 Central Connecticut State University’s Center for Africana Studies incorporates three cooperative entities: African Studies, African American Studies and the Archaeology laboratory for African and African Diaspora Studies. The CCSU Center for Africana Studies is the first such center in the United States to be associated with an archaeological program and laboratory. The Archaeology Laboratory for African and African Diaspora Studies is directed by Dr. Warren R. Perry, and houses archaeological materials recovered from on-going archaeological research projects such as: the New York City African Burial Ground Project; the New Salem Plantation Archaeological Project; the Connecticut Minkisi Project and other local African diaspora sites that are currently under investigation by the Central Connecticut archaeological team. The other members of the archaeological team are both alumni of Central Connecticut State University, Mr. Jerry Sawyer, Director of the New Salem Plantation Archaeological Project and Ms. Janet Woodruff, Director of the Connecticut Minkisi Archaeological Project. We have two major goals for the Archaeology Laboratory for African and African Diaspora Studies. The first goal is to understand the political economy of race and class in the colonial northeast through the analysis of our related materials, to more accurately and holistically, reconstruct and interpret and to provide a contextual understanding of the everyday lives and death of colonial Africans in the northeast. This will be accomplished by focusing on the material cultural remains that are cemeteries, homelots, commercial sites, villagescapes, and regional landscapes and their spatial distribution along with the search for evidence of minkisi (small bundles of ritually-significant objects)in historic houses. These data from our sites in the northeast are important to make comparisons for investigating African people in Africa and throughout the diaspora living under diverse conditions of captivity. Our second major goal is for our center to be an integral link between CCSU and local communities with an interest in Africana studies by serving the mutual needs of the university and the local community through applied research and service. In this regard, our archaeological team is making a serious effort to assure that our work has value and significance to the broader community beyond the university. Indeed, community engagement is crucial for public accessibility to academic skills and knowledge, and for accountability and responsibility of educators to forge relationships of equality, built on mutual trust with the communities they serve. In this way scholarly research can be scientifically productive and simultaneously enriched by the mutual benefits learned through first-hand practical interaction and experience with local communities. The Archaeology Laboratory for African and African Diaspora Studies as part of the Center seeks to make our special knowledge public through public lectures, educators symposia, slide presentations and laboratory tours, to introduce archaeology, anthropology skills training for community people, summer cooperative projects and partnering with local cultural institutions and organizations, and local and public appearances which forge relationships and alliances between educators and communities. to demonstrate how archaeology can expanded our knowledge of Connecticut history. The archaeology team seeks to assure public access to the various sites where we are conducting research, to the artifactual remains and to encourage and allow appropriate cultural ceremonies to commemorate the ancestors. It is hoped that in this way community engagement in the research projects can developed in a way that both empowers the public and enhances our research efforts. The sharing of our research information will also provide positive visibility for CCSU. It is through this community engagement that public awareness of the quality and character of our university, its faculty and its students is raised. In conclusion the Africana Studies Center and the Archaeology Laboratory for African and African Diaspora Studies is integral to the larger mission of the University, it has the mission to integrate African and African diaspora studies into the curricula of CCSU to develop and encourage the study and teaching about Africa, African-Americans and people of African descent throughout the Diaspora. (Ph.D. CUNY 1996;Prof.) African archaeology, African American archaeology, archaeology of class formation and social inequality; US, Southern Africa.